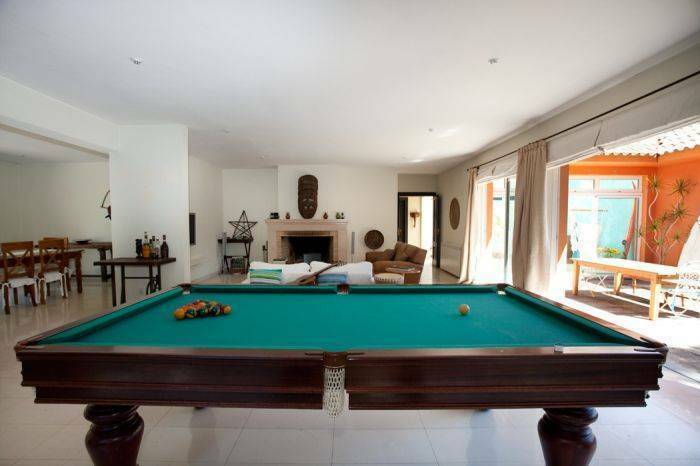 Surrounded by private gardens, the house offers distinctive private and shared accommodations (for individual travelers or groups), dining room, living & games room with fireplace. The gardens offer plenty of space to relax or familiarize with other guests and enjoy the sun on the large swimming pool. 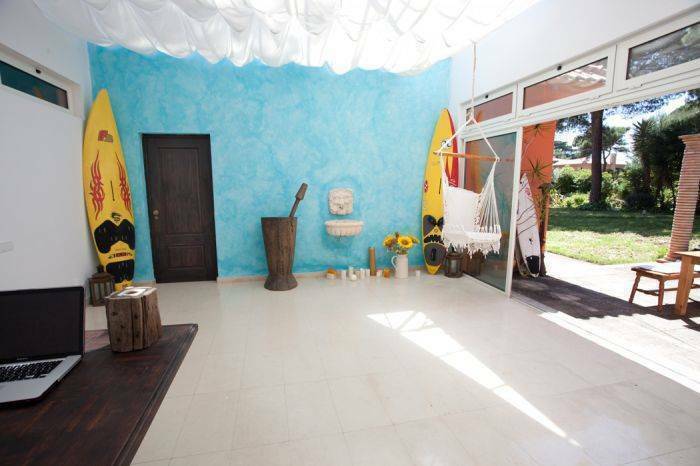 Located near Cascais, a town at the heart of the surfing scene and trendy water sports paradise both for beginners and pros! In Cascais you’ll also find plenty of attractions to visit, dazzling landscape and beautiful people in a sizzling nightlife. The Spot is the place to have fun, relax, feed the soul and revive the weary. We welcome all guests as part of our surfing family. During your stay you’ll have numerous activities to enjoy: Surfing and Kitesurfing are at the top of the list, but you’ll have many more that you simply can’t miss out, like rock climbing, fishing trips at dawn, water ski, sailing, night walks in Sintra’s woods, qigong, massages, cycling by the sea coast, etc. You’re 3 minutes away from one of the most desired beaches in the world for most demanding surfers and kite surfers — Guincho beach, with the best waves and wind. Private Family Suite 2 rooms (one double bed + 2 bunk beds) and full private bathroom. Closet, working desk. Central heating. Private Double Room with shared bathroom One double bed, closet, central heating – shared bathroom – in front of the room door. 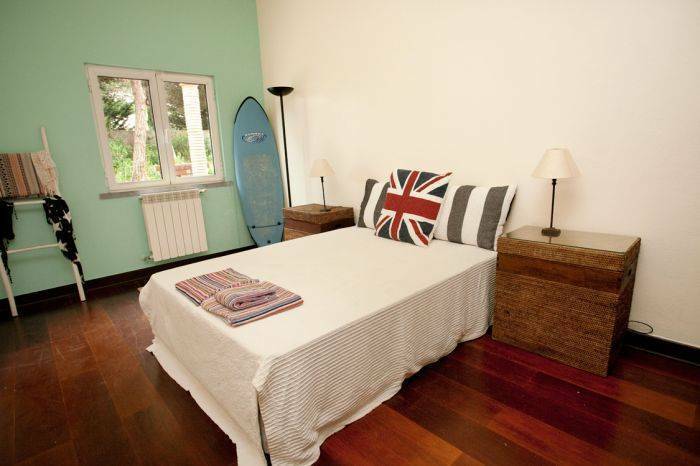 Located on a quiet and private condominium at the exclusive Quinta da Marinha, the Spot Portugal - Kite & SurfCamp offers private rooms and beds in dormitories. 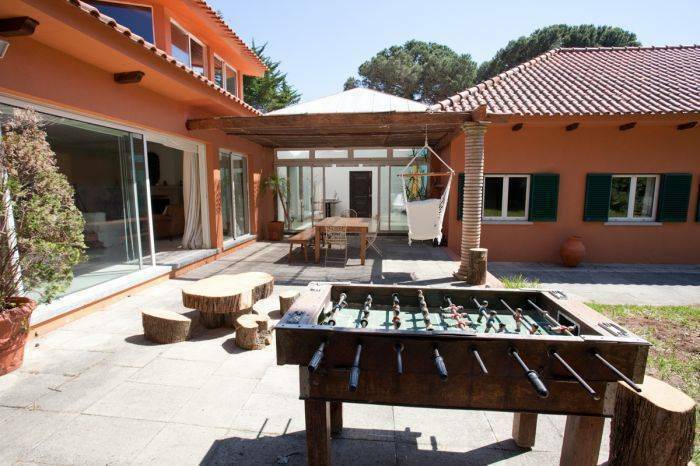 The property is just a 3-minute drive from Guincho Beach and features an outdoor swimming pool. If canceled 7 days before arrival - full refund your deposit. If canceled later or in case of no-show – Full payment is non-refundable. Guincho Beach, well-known as one of the best surf spots in Portugal is nearby and readily accessible either by car, bicycle or walking. The Spot Portugal is a 12-minute drive from Cascais and Estoril is a 17-minute drive. Scenic Sintra is a 24-minute drive away and features many national landmarks such as the renowned Pena Palace. 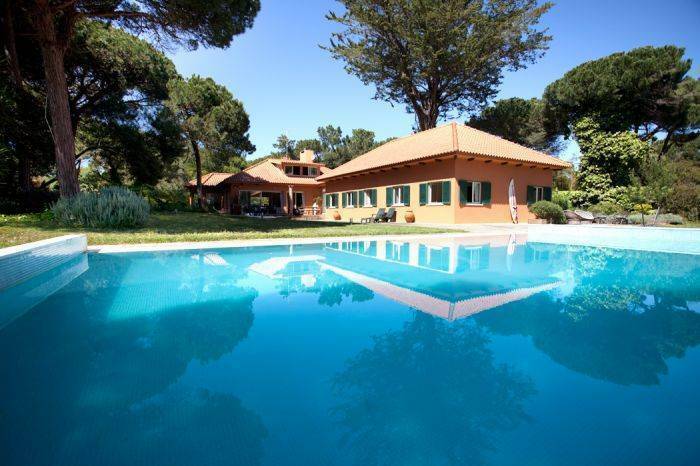 It is a 6-minute drive from the nearest golf course within the Quinta da Marinha. 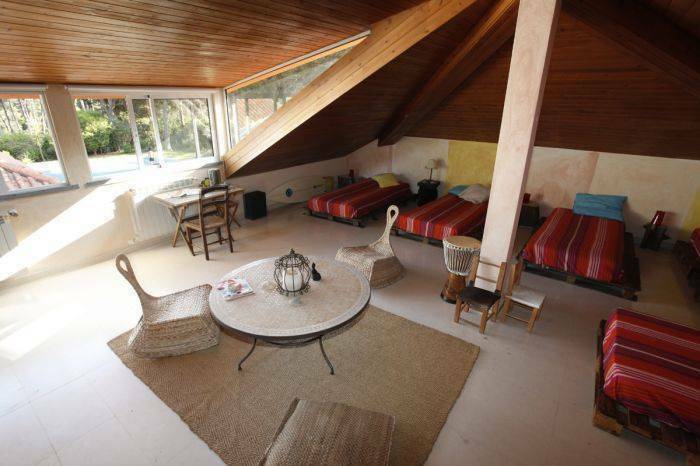 Nearest airport: The Lisbon International Airport is a 34-minute drive away from the Spot Portugal - Kite & SurfCamp.